Where Are the Snowy Owls? This might be a strange question to ask with so many Snowy Owls being reported in the eastern United States and Canada the last couple of months. One group of birders from Newfoundland counted 301 Snowy Owls in weekend and one Snowy Owl made it all the way to Bermuda! But for those of us in western North America, who are accustomed to seeing Snowy Owls in the winter months, it’s a question we’ve been asking ourselves. 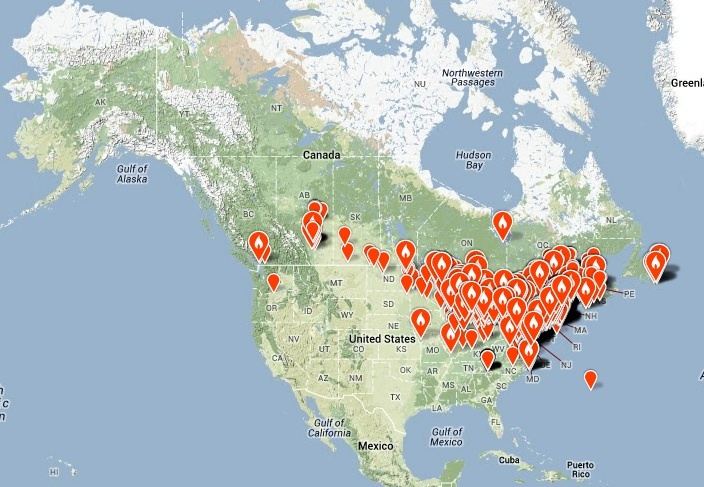 In fact, Snowy Owls have been found this winter in every northeastern state and even in some southern ones. This explosion of owls has excited birders, and even some non-birders, everywhere the owls have been reported. Snowy Owls breed in the very northern part of Canada and Alaska where there is constant daylight in the summer, so during breeding season they have no choice but to hunt during the day. In the winter, they hunt by day or night, which is why this species is more commonly seen than other owl species. Snowy Owls mainly eat lemmings, voles, and mice, but they are opportunistic hunters. A Snowy Owl can eat more than 1,600 lemmings in a single year. Lemming populations fluctuate drastically from year to year with peak number happening about every four years. 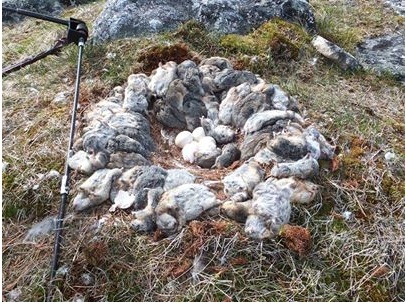 Lemming populations don’t affect only Snowy Owls, but also Arctic Foxes, Rough-legged Hawks, weasels, Gyrfalcons, and other Arctic wildlife. When the lemming populations are high in the spring and summer, other species’ populations increase; when the lemming population drops, other species that depend on lemmings for prey decline. So goes the cycle of Arctic life. It seems likely that most of the Snowy Owls being seen/reported in the east are young ones that have been pushed out of their normal range by the adults or have moved out looking for food. This results in an irruption, or an invasion as some birders like to call it. An irruption is a large, temporary migration of a species into areas where they’re usually not found. This recent invasion is likely caused by a lack of food supply for the owls, following a plentiful supply of lemmings last spring and summer in the owls’ breeding grounds, which meant the adult owls were able to raise lots of young. But this past fall and this winter, the lemming population may not have been able to keep up with the increased owl population, forcing young owls and even some adult birds south and east in search of food. Last week I asked members of the Alberta Birds Facebook group if they’ve been seeing as many Snowy Owls as in previous years, more, fewer, or about the same. Some members said that they’ve seen fewer owls, and others said that they’ve seen about the same number as in previous years. Unfortunately, I haven’t seen a Snowy Owl yet this winter, so I find myself wondering, where in North America are the Snowy Owls I usually see in the winter. 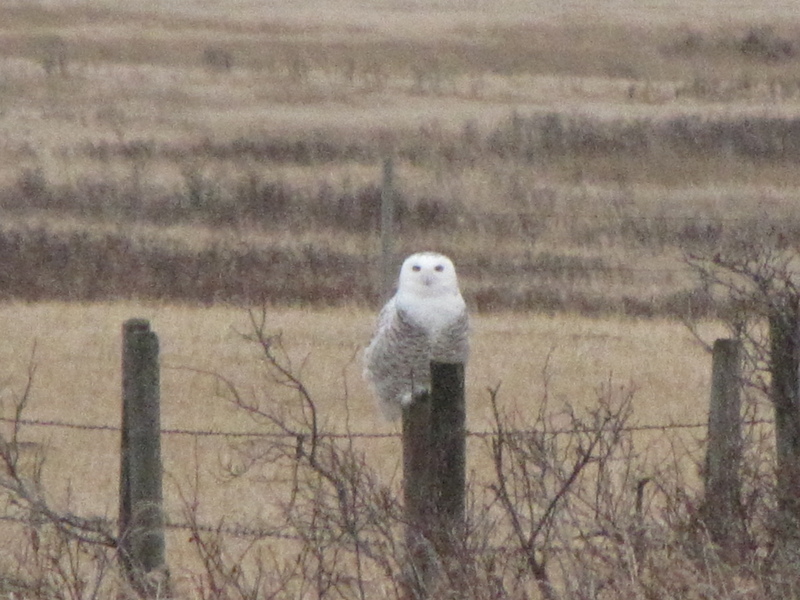 The numbers of Snowy Owls in Alberta are definitely nothing compared to the east. As a result of the irruption, some researchers have started a project to track the Snowy Owls movements with transmitters. Project SNOWstorm is a really neat opportunity to study Snowy Owls, so please be sure to check out the website and donate if you want to help study Snowy Owls! 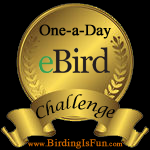 This entry was posted in Articles, Birding, Blogging, Canada Birds, General Birding, Nature, Winter and tagged Lemmings, Snowy Owl, Snowy Owl Irruption, Snowy Owls. Bookmark the permalink. We went out on New Years Day and saw six! We’re in south west Ontario. 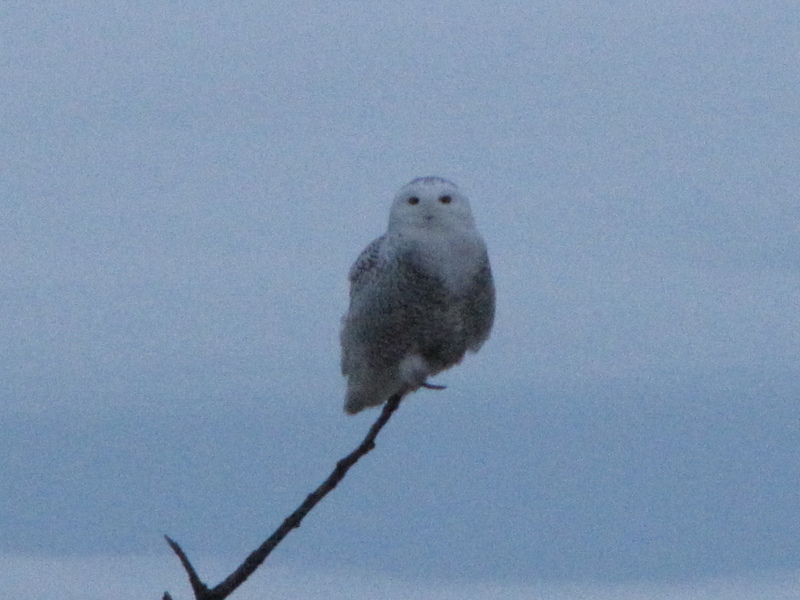 Interesting article, I’ve been studying Snowy Owls since 2003 in western Canada. Our last snowy invasion occurred last winter with a much bigger one happening the winter before 2011/12. I banded almost 150 snowy owls in just these 2 winters alone and 80% of these owls were HY or hatch year birds which means born that same year. I know other banders in the Edmonton region that banded even more. Last winter we attached 4 satellite transmitters on Snowies and watched as they headed back north. There are no definitive answers to any of people’s questions because nobody knows 100% where the owls go at any given winter. Since we started tracking them we have learned that most owls stay in the arctic for the winter, some come south and almost all snowies don’t return to the same area year after year. There had been a lot of work done tracking snowy owls both by researches specifically by my colleague Norman Smith out of Logan International Airport in Boston Mass. 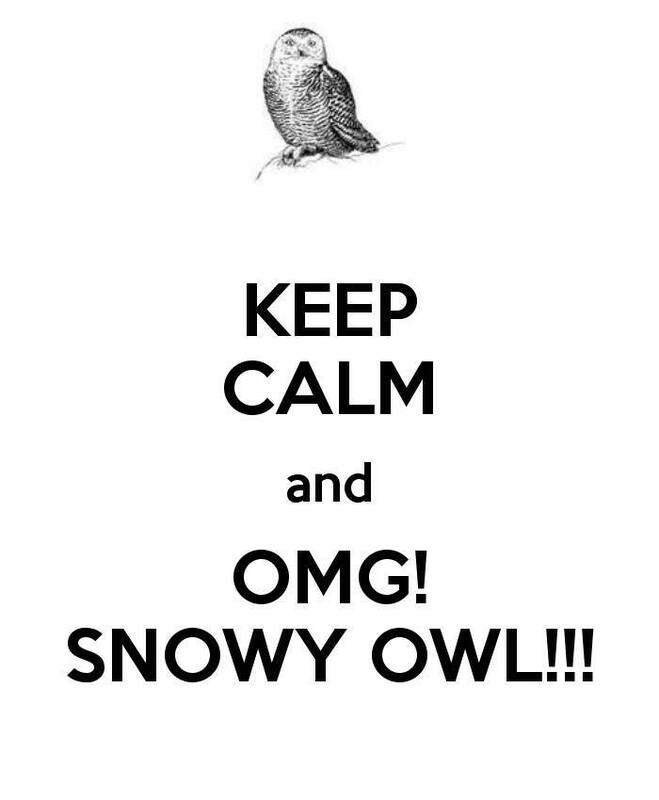 This winter there have been zero young snowy owls banded by us in Alberta which only means one thing. They did not breed this past summer which would make sense after the last 2 summers of them breeding the lemming population crashed. There are still Snowy Owls here you just need to understand that the best time to find them is just before dark when they become the most active. If you need anymore information please don’t hesitate to ask. Any updated information? Friends would like to go east of Calgary tomorrow to try to see them. Any ideas? That is a helpful note. I’ve been photographing them for 2 years now, with no success around the Calgary area in even sighting one this winter. Do you have any areas where they have been sighted this year? I used to think they came back to the same area, but of course knowledge not based on facts isn’t knowledge, I guess. Saul, if you have a Facebook account you can join the Alberta Birds Facebook. There are quite a few members from the Calgary area, and many of them share their sightings and photos of Snowy Owls, and I’m sure most of them would be happy to help you locate an owl. I’ve seen a huge male snow owl 3 out of the past 4 nights (Nov. 4/15) on our construction site located essentially at the intersection of the henday and yellowhead trail on the eastern edge of Edmonton. He appears around midnight a top a large pile of clay and is not the least bit bothered by the noise or presence of our heavy machinery. Clearly, food is abundant because he’s as round as a basketball and looks healthy as can be. Prior to this, I had seen only one owl despite my numerous walks through the foreest. I expect I will see him tomorrow night. Amazing!